The places that characters frequent in movies or TV often become characters themselves. Homes, hideouts, workplaces, these locations can often be as important to your love of something as the fictional people who dwell in them. Which is why, in 2012, Austin artist Tim Doyle started a series called UnReal Estate. 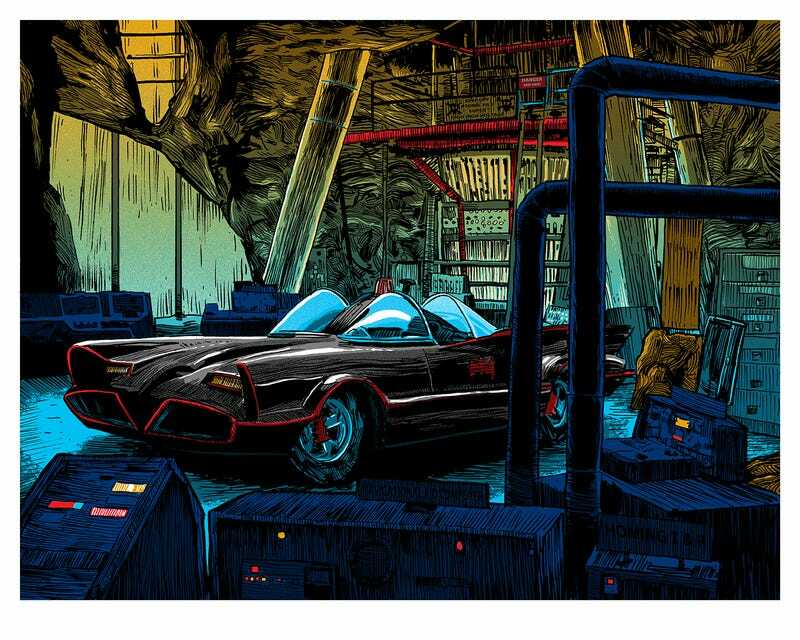 He drew and printed famous pop culture locations as posters and the event was a massive success. It was so successful, in fact, that for the fifth year in a row, he just unveiled a new series of UnReal Estate prints. The prints are on display at Spoke Art in New York, NY, and are also now available online at this link. Here are a few of the pieces now available. Barney’s Bowlarama from The Simpsons. The Burrow from Harry Potter. Most of those are available in variant editions too, so head to Spoke Art’s site to find out more and see pieces from previous years.